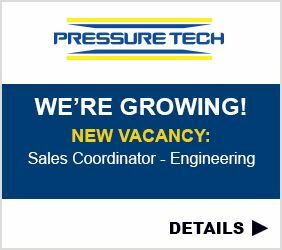 Pressure Tech - Quality Pressure Regulator Manufacturers - NEW: SALES COORDINATOR VACANCY! Are you organised with knowledge of mechanical engineering principles and experienced within a sales team?? Then you could be perfect for our new Sales Coordinator vacancy! Click here for more info and to apply.